"The fissure his words caused within me elicited a strange dueling reaction. My first thought was to rip him limb from limb, but at the same time, I wanted to spread my wings, burst free of this place, fly home, and cry my eyes out. ~ Raven"
"Garrett may be a pencil pusher for all intents and purposes, but he was one of those hot geeky types that when you looked closely enough, you could see he had a real Clark Kent/Superman vibe going on. He was tall and built with dark hair and beautiful blue eyes. We'd never dated and never would, but as I stared at the perfect man asleep on my couch, I knew if we had...I would've been the lucky one. ~ Raven"
"I stared, taking in her porcelain skin, dark gothic makeup, and long platinum hair. I wanted to rant and rave, to verbalize all the venomous thoughts pooling on my tongue, but as Death's icy stare bored into me, I quickly gained control of my emotions and introduced myself instead. 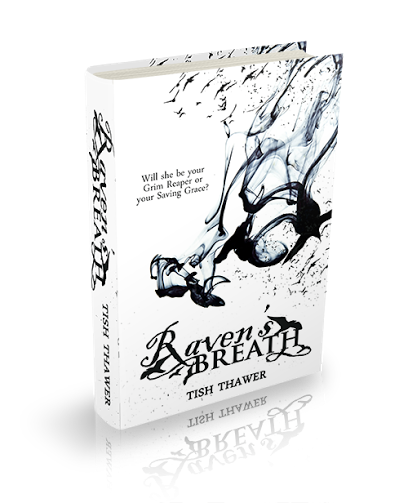 ~ Raven"
Tish Thawer writes paranormal romances for all ages, including her new adult series　The　Rose Trilogy, and her adult paranormal romance,　The Ovialell Series, as well as young adult short-stories. Her magickal elements and detailed world-building are a welcome constant in every novel. She's been a fan of the paranormal for as long as she can remember. Anything to do with superpowers, myth and magic has always held a special place in her heart. From her first paranormal cartoon, Isis, to the　phenomenon　that is Twilight, this genre has always been a part of her life. Answer: Think "Bower" or "Thow-er." It's Persian! Siren's blared, cutting through the quiet night. I watched from the shadows as the man who'd just been hit by a taxi lay bleeding on the frigid, grime covered ground. People gathered and were staring at the gruesome scene, while the driver of the taxi sat on the curb, crying into his hands. I scanned the crowd, picking out who'd seen death before and who hadn't. As he took his last breath, my attention snapped back to the dying man. Images began to take shape in his mind; images that due to my job, I, too, could see. Snapshots of him riding a motorcycle for the first time, of him falling in love, of his big successful promotion at work...all images of him. It was the usual replay of one's life flashing before their eyes as they die. When the replay stopped, it was time for me to go to work. I stepped out of the shadows and took two steps in his direction. To the people watching, his wide eyes marked his final passing, but to me they continued to grow as he took in my features: my dark hair blowing in the wind, my curvaceous body wrapped in tight black leather, my large wings the color of the night sky. No one could see me but him, for he now resided in the netherworld...in my world. I extended my hand and offered my usual greeting. "My name is Raven and I'm here to help you." He reached for my hand then looked back to take a final look at his body, as most of them do. "Am I really dead?" This was the exact conversation I'd had with thousands of souls, which was why I knew that now would be the best time to comfort him, before he got scared to death––no pun intended––and tried to flee from me. I extended my wings and let my divine light radiate from within. "Please don't fear. I'm only here to help you find peace." This usually worked since I looked more like an angel with wings than the old man with a scythe that most people envisioned. Maybe that's why I'd been chosen to become the first female Reaper in history. I think the boys had been losing too many souls. 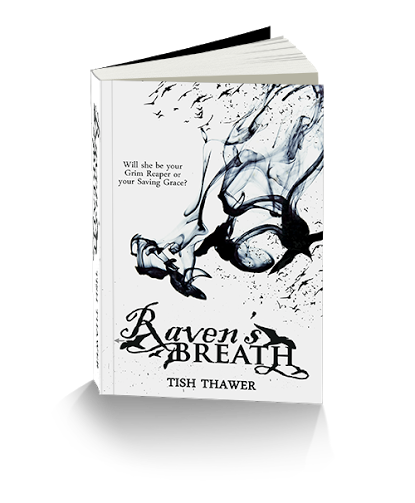 Raven's Breath by Tish Thawer is a 2014 publication. I was provided a copy of this book in exchange for an honest review. Raven is like a grim reaper type creature and up until now is the only female of the species, if you will, and therefore she has wings while the males do not. If Raven's job as a reaper wasn't challenging enough, her world is about to become really weird. Death is up to something and Raven will have a hard time getting to the bottom of his plan. 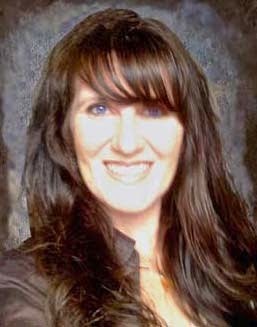 She will have the help and support of her friend Garrett and Michael to work through the increase in her power and to deal with "Death".